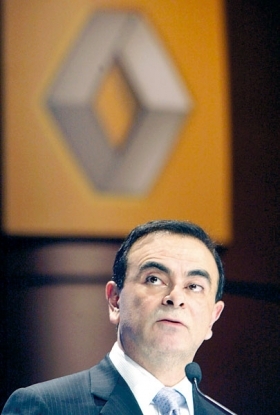 Ghosn must explain to the French government why it could shift some car production from France to Turkey. PARIS (Reuters) -- President Nicolas Sarkozy stepped up pressure on Renault on Wednesday, summoning CEO Carlos Ghosn for a meeting over speculation the group could shift production of its popular Clio model to Turkey. Government spokesman Luc Chatel told reporters the meeting would take place "very soon" and said it was "completely normal" for the state, which holds a 15 percent stake in France's number two carmaker, to make its views clear. "The government would have no understanding for a measure that consisted of moving abroad production of such a symbolic vehicle for French people as the Clio," he said following a cabinet meeting. The comments follow similar remarks on Tuesday from Industry Minister Christian Estrosi, who told parliament that "when a French car is destined for the French market, it has to be made in France." Renault said on Tuesday it has not taken any decision yet on the matter and that it was still reviewing "several scenarios for the Clio" but it said it needed to ensure that the Clio is manufactured as economically as possible. However the prospect of a move to Turkey has angered the government, which is committed to protecting manufacturing jobs in France and which faces regional elections in March. Renault is now seeking to boost sales in emerging markets such as Turkey and reduce production costs. French daily La Tribune reported last Thursday that to cut costs, "the successor of the current Clio ... may not be manufactured at Flins, in the Paris region, but in Turkey." The Clio is 'a symbolic vehicle for French people' and should be made in France, the government says. 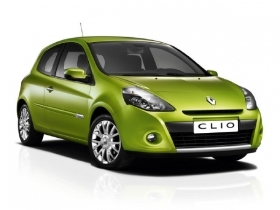 The Clio, Renault's rival to the Volkswagen Polo, was the third-best selling car in France in 2009, after the Peugeot 207 and the Renault Megane. On Wednesday, Estrosi summoned Patrick Pelata, chief operating officer of Renault, to his offices as the group considers producing the fourth-generation Clio only in Turkey. Renault's plant in Bursa, Turkey, already produces the third-generation Clio. "No, we will not let the Clio 4 be produced in Turkey. This Renault will be made in France to be sold in France," Estrosi told parliament. "I say this in the name of the Prime Minister and the government -- when a French car is destined for the French market, it has to be made in France," he added. Estrosi's remarks chime with similar comments by President Nicolas Sarkozy about preserving jobs in France and the strong euro hampering exports. But some analysts said cost issues had to be a factor. "Like all carmakers, Renault needs to address its cost base, and in Turkey it will be cheaper. (Building the Clio in Turkey) would make sense from an industrial point of view," said Credit Suisse analyst Stuart Pearson. "Then again, there may be worries regarding jobs in France. Renault will need to convince that it will not reduce activity too much in France with the arrival of the electric cars," Pearson added. Renault is leaning toward making the next Clio in Turkey while Flins would make the Zoe electric vehicle as well as electric batteries starting in 2012.